This is not a good picture and I apologize. Also, that dresser is not actually dirty- it got scuffed in the move. But anyways! I love subscription boxes. It’s so exciting. Like mini Christmas. P doesn’t understand, but he likes seeing me happy and doesn’t mind when I decide to tell him the contents of every box. This is just a body wash. No scrubbies, no purported benefits. Just a nice body wash. The texture is smooth and jelly-like, but the smell…it smells like your grandma’s potpurri basket. I was disappointed, because I love sea-smelling things, but this smells like a scented candle from the Christian bookstore. You know they’re serious when it says creme instead of cream. But seriously, this is a really generous sample size. I love it. I haven’t gotten to test it yet, but with that much to work with, I’ll be able to get a really good run. Will I ever use a silver eyeliner? I don’t know. That’s the challenge now. But it’s creamy and goes on easily, so if I ever need one, it’ll be a good one. But would I ever buy a silver eyeliner? Nope. I’m not a huge fan of Color Club polishes- they seem runny and streaky to me. But the color itself is lovely, a pale gold with a warm, almost rosy tinge. It’s definitely the color I wanted the most from the set (there’s also a pearly white, a blue, and a green). This was weird. The texture is like the Nature’s Valley bars (thin and very crispy). But the first taste is WHOA MAPLE SYRUP, and then it dies down to the weird slipperyness of the pumpkin seeds, and randomly you’ll bite into a granule of sea salt. Like it’s an actual crunch into a grain of salt. Very odd. It was good, but I won’t buy them myself. 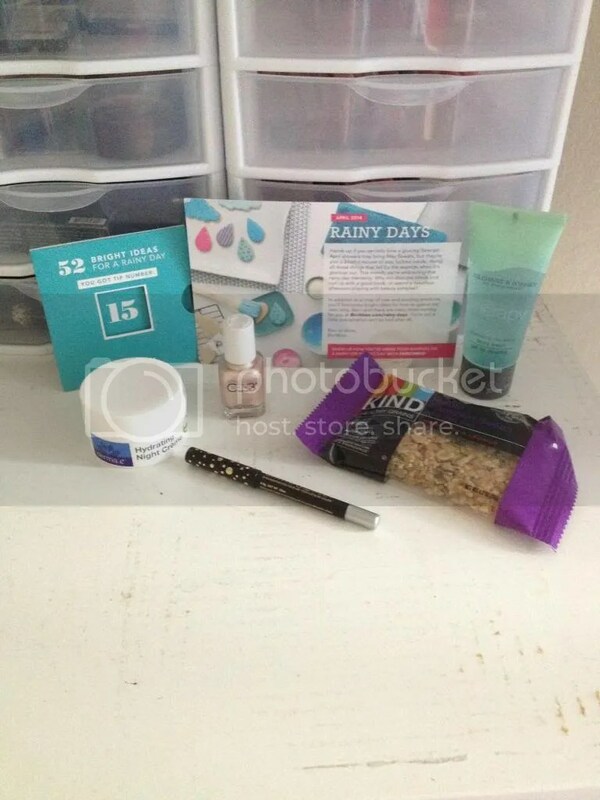 Get your own Birchbox here!